Books have been one of the enablers of lifelong learning that have existed since long before the Web came along, and hopefully they will remain so far into the future. I'm an avid reader. I read mostly fiction, but I break it up and indulge my passion for “edtech” by reading books about education, instructional uses of technology, and related topics. Regular readers of EmergingEdTech know that I write reviews and other articles based on favorite books that I've read. Below I share a handful of my favorites, along with brief excerpts from the reviews and articles inspired by them. Also, to (selfishly) feed my voracious appetite for the written word, and to (more importantly) offer suggestions to readers, I like to ask the experts that it is my occasional good fortune to interview, about books and authors that have inspired and motivated them. Read on and … read well! Over the years, I've had the pleasure and privilege of interviewing a mix of education and technology experts. One question I like to ask of each of them is if there are books, authors, or educators that have been particularly motivating and informative to them, and if they can offer specific works that they would recommend. Here I have collected many of the recommendations that they have passed on. Citing her recent interest in the Maker Movement, Kathy recommended Invent to Learn: Making, Tinkering, and Engineering in the Classroom by Martinez and Stager (http://www.inventtolearn.com). “I am diligent about sourcing my thinking about learning from a wide variety of influences. When I first started teaching, I was all about Wiggins, Marzano, Tomlinson, Kylene Beers, Harvey Silver, Richard Strong, the Dufours, etc. Then I realized that education is way, way more complicated than teaching and learning. I still love them, but it’s bigger. I try to juggle a lot of different perspectives. Learning isn’t a pedagogy and assessment thing, it’s a human and habits thing. All learning should result in personal and social change. If not, why are we here? To answer questions better? I truly believe that this book should be required reading for all educators. There are various themes that arise repeatedly in the book, and many are spoken to with a straightforward eloquence. While telling the story of the evolution of the now well known Khan Academy, Sal Khan makes a powerful case for the ideas that drove the formation of this pioneering education technology powerhouse, and how those notions can truly transform education and deliver on the promise of technology. In his introduction, Khan starts with the fact that the basic education model in the U.S. and the world at large has not fundamentally changed for over a century. The old model doesn’t fit our changing needs. The dialogue about the need for change has been going on for decades but, “instead of acting, people just keep talking about incremental changes”. The dialogue consistently stops short of the fundamental questions that the situation demands, “focusing instead on a handful of familiar but misplaced obsessions like test scores and graduation rates”. While these are not trivial concerns, the higher goal is empowering future generations to live productive lives and fulfill the responsibilities of a true democracy. Read the full review (in two parts) here and here. 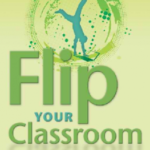 Sams and Bergmann provide an excellent introduction to what the flipped classroom is, why it works, and how they do it. Jon Bergmann and Aaron Sams are widely recognized as flipped classroom pioneers. They are also both recipients of the Presidential Award for Excellence for Math and Science Teaching. These two humble high school teachers have had a tremendous impact on the grassroots spread of flipped learning, and this book is an outstanding introduction to it. In 2014, they published the equally informative, yet notably different book, Flipped Learning: Gateway to Student Engagement, which is an excellent follow up that gets into how teachers have been evolving their practices as they leverage the possibilities that come with flipped learning. Read more about the book here and explore many of the other resources Sams and Bergmann have produced in this article. Larry Ferlazzo is a widely recognized education blogger and author, with expertise in student motivation and teaching ELL/ESL (check out in NY Times column here). Self-Driven Learning is one of numerous books he's written that focus on this holy grail of teaching: getting students to be self-motivated in their learning. To give a taste of what you'll learn about when you explore this book … Ferlazzo starts by making the case against extrinsic rewards as motivation. He cites an array of studies that make it clear that intrinsic or autonomous motivations are more effective than external rewards. Points, grades, and percentages are external motivational levers that do not consistently deliver the desired effect from all students. Fortunately, many studies show that engaging lessons, cooperative “discovery learning”, and many other techniques can encourage students to take learning into their own hands. In the book, many of these techniques are explored. Learn more here. We’ve all been hearing about the importance of 21st century skills for well over a decade now. But many of us struggle to understand what these really mean and how to integrate them into our lessons and classrooms. Common definitions include reference to skills like communication, collaboration, and creativity, which are increasingly applied through technology tools. In “Classroom Habitudes“, Angela Maiers takes a different approach to the 21st century skills our students need, and how to teach about them. This fun book is full of practical lesson plans that can be used to help students learn the importance of the soft skills Maiers defines as essential “habitudes”. I could hardly envision a better introduction to using emerging technologies in the classroom in a single self-contained resource. While this book recounts a personal journey, it is also very well organized, and provides structured guidance. These experienced insights can help guide any educator through the maze of Internet tools, to discover many ways in which they can facilitate a fundamental shift in student engagement and learning. Teacher Michelle Pacansky-Brock has written an excellent guide to bringing the teaching paradigm into the current century, in a way that embraces the perspective of students (of all ages) and has been proved effective time and time again. Read the full review here. So many factors play into how a country’s economy and people can compete and excel in the evolving global work place. Education is undeniably one of these factors (of course, it is important to note that various other social, political, and economic elements are also very significant influences). On author Alec Ross's Amazon.com Author’s Page, “Google Chairman Eric Schmidt writes that, “In a world growing more chaotic, Alec Ross is one of those very rare people who can see patterns in the chaos and provide guidance for the road forward. He has an unusual diversity of expertise that allows him to apply multiple lenses to the world’s challenges and dream up the kind of innovative solutions that are changing the world.” This fascinating tome explores Robotics, Big Data, CyberSecurity, Genetics, and more. Anyone who has any reason to be concerned about how the nature of work, employment, education, and the global community will change due the impact of rapidly evolving digital technologies over the coming decades should read The Industries of the Future. Access the four part series we did on this book here. Granted, this is really focused on administrators, but this book really is a must-read for all school administrators looking to get the most out of the many free and low cost information processing tools available today. It is rare that a school excels at putting today's information and communication technologies to optimal use if their administration doesn't help to set the tone and lead the charge. While it is a quick read, rich sections covering effective communication and collaboration through the wealth of digital tools at our disposal today offer dozens of tools and techniques that can enable admins to lead the charge! Read the full review here. So there we have it, lots of great books and inspiring authors and thinkers to wrap your eyes and brain around. Whether you have some time off in the summer or not, you would do well to have some of these books on your reading list! Thanks for curating such a great list of books for we teachers. We\’ve featured your article in our EdTech resource guide (Chapter 4: EdTech Books).